One caring Lviv citizen felt him self a vigilant, when solved the issue near his own home. 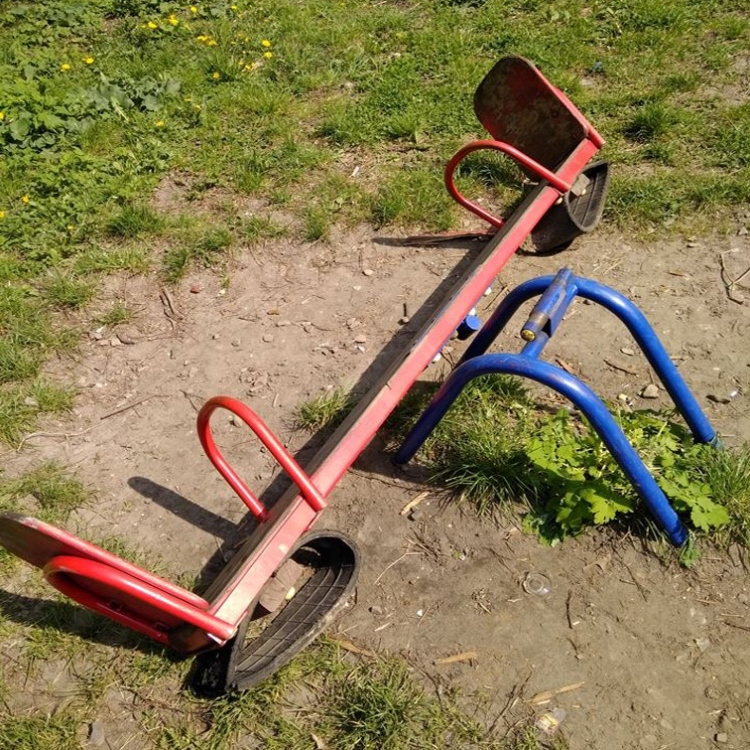 Is there really a choice, when instead of a swing for the kids you can see a piece of a scrap metal? The Karatyel Project team of lawyers decided to solve the problem of a broken swing from the first attempt. The complaint came from a Lviv citizen, who was discouraged by the ugliness of a playground near his house at 101-B Lyubinskaya Street. 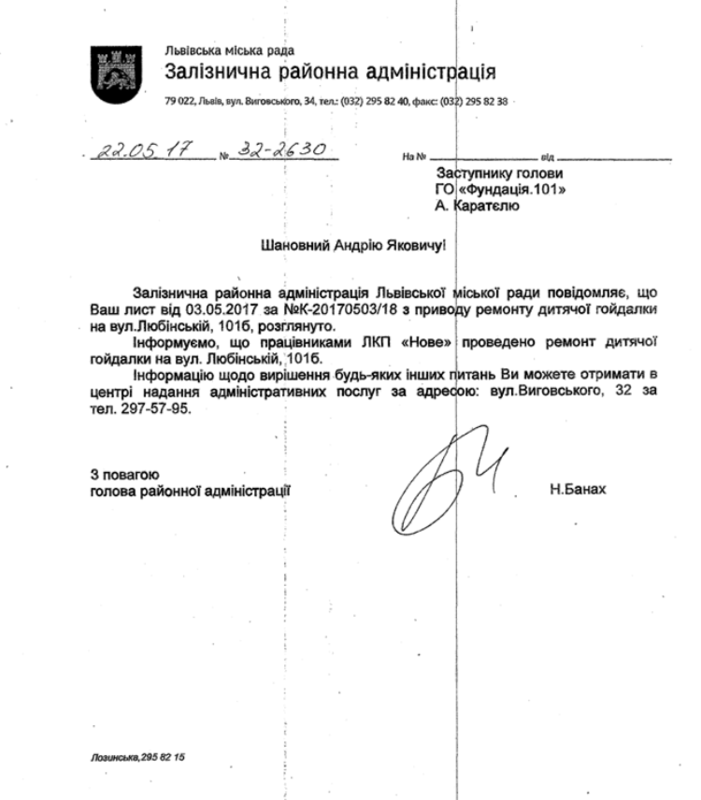 With a combined effort they sent an appeal to the Lviv City Council. It took 13 working days before the Railway District Administration of the city reported before the Karatyel team, that the children’s swing maintenance was entrusted to the Housing and operating office “Nove”, and everything is repaired now. Local kids and their parents are happy. After all, the playground should be safe, and swings should swing! Meanwhile, The Karatyel Project‘s free app has reached over 10,000 users. Try it! Restore the justice, force officials to actually do their job, and make Ukraine better and safer. We, in exchange, will take care to make this happen effectively.